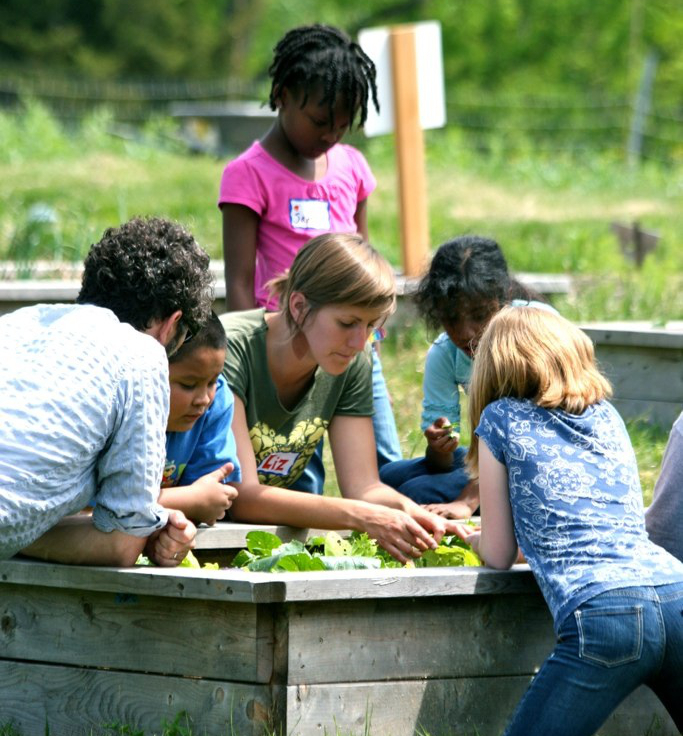 Hands-on educational experiences for children to explore the farm-to-table process! Register HERE for a 2019 field trip to Arcadia Farm! Arcadia Farm hosts field trips for DC and VA schools, which are designed to connect pre-kindergarten through fifth grade students (and other interested groups) with where food comes from while meeting age-appropriate curriculum standards. Download a pdf overview of our field trips for Washington, DC schools HERE and for Virginia schools HERE. What is a field trip like? A field trip to Arcadia Farm begins with a garden tour, where students familiarize themselves with the farm through sensory observation. Students then become farmers, rotating through a series of interactive stations where they explore such topics as soil and compost, edible plant parts, plant life cycles, pollination and pest control, livestock and nutrition. Skills students will practice include measuring, adding/subtracting, active observation, critical thinking, making predictions, written/oral presentation and cooperative learning. Although our program is designed for kindergarten through 5th grade students, we love to host special trips for high school students, scout troops, environmental clubs and more. Email our staff at (fieldtrips@arcadiafood.org) to discuss your group's needs. What will students learn at the Farm? After a farm field trip, students will be able to make the connection that healthy, fresh food comes from the earth, and will understand the process of growing food sustainably. Students will be familiar with and recognize fruits and vegetables that grow near Washington, DC, so that they will be more likely to eat those healthy foods when they see them in the cafeteria or at home. 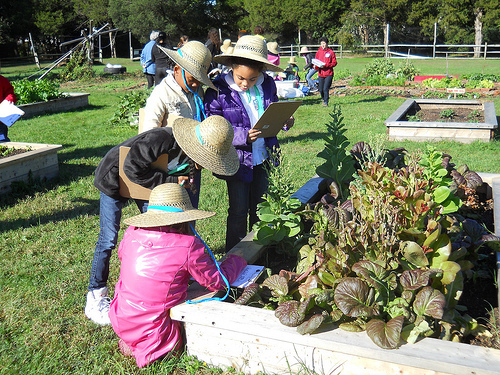 To learn more about how Arcadia Farm field trips meet K-5th grade learning standards, click HERE for DC standards and HERE for VA standards. When do field trips take place? Arcadia Farm hosts Field Trips on Thursdays and Fridays from April 25 - May 31 and October through early November 2019. Wednesday Field Trips are available for groups of 20 students or less. In order to cover the cost of staff, materials and upkeep on the farm, schools are charged a small fee for field trips on the farm. Field trip fees range between $250 and $450 and are calculated according to the percentage of students eligible for Free or Reduced Price (FRP) Meals at your school. Small groups of 15 or less are charged a flat fee of $150. Every participating school must mail in a $50 deposit upon registration, which will be put towards the field trip fee. The deposit will not be returned if a school cancels during the two weeks prior to a scheduled field trip, unless Arcadia cancels due to inclement weather. Payment of the field trip fee is due in full on the date of the field trip. The fee increases $5 per day for each day it is late. Schools must pay for their own transportation to and from the farm. Click HERE for bus funding ideas. Download our full payment and cancellation policy HERE. What are the requirements for participating groups? Have a school/group point person fill out the online registration form for K-5th grade students (and other groups) interested in coming to the farm. If you have trouble accessing the form online please email Ivy Mitchell at fieldtrips@arcadiafood.org to request the link. Mail in the field trip contract and the $50 deposit check once your trip has been confirmed. Arrange for bus transportation to and from Arcadia Farm. Have parents/guardians for all participating students sign the Arcadia Student Media and Medical release. Work with our field trip team to discuss logistics and customize your trip. Provide the appropriate number of chaperones – at least one teacher or chaperone per 10 children, and have them sign the Arcadia Chaperone Media and Medical release. Have students bring bagged lunches or arrange for school meals to-go. Have students fill out the pre-test specific to grade level prior to the trip (will be provided). Have students fill out the post-test specific to grade level about a week after the trip (will be provided). Fill out the Teacher Evaluation Form online and return student post-tests to Arcadia via the stamped, addressed envelope provided. For more information, please contact Ivy Mitchell at fieldtrips@arcadiafood.org. After you fill out the online registration form, we will contact you to confirm the date and logistics of your field trip, discuss specific curriculum connections, and tailor the trip to your specific needs. Space is limited. Reserve your trip TODAY! Would you like to join our team of dedicated team of Farm Education Volunteers and help us teach students about the origins of healthy food? Click HERE to learn more and to register as a volunteer. Arcadia Farm Field Trips are DC Farm to School Approved!